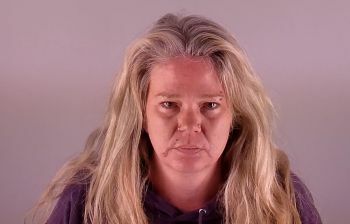 BEND, OR -- The Alfalfa woman accused of driving under the influence and killing a cyclist just over a year ago will face a jury, later this month. Deschutes County District Attorney John Hummel tells KBND News, "There's been a year of preparation by both the prosecution and the defense, and it'll culminate in trial on January 29." Hummel says, "I don't think anyone disputes that Shantel Witt struck Marika Stone; and sadly, Marika Stone was killed." But, he says, "The question is whether Shantel Witt committed a crime when she struck Marika Stone, or whether it was merely an unfortunate accident." He adds, "The issue of whether Shantel Witt was under the influence of one or more drugs, that will be an essential point of the trial; that will be a critical issue - an issue that will be put in front of the jury, and they will have to decide." Stone, a local dentist and mother of two, was riding her bike on the shoulder of Dodds Road with two other cyclists when she was struck on December 30, 2017. According to Hummel, "This is the time when guilt or innocence will be decided. The talking means nothing. It's going to come down to the evidence and the law, and the case will be presented to a Deschutes County jury and they'll decide whether Ms. Witt is guilty or not guilty." Witt was released on bail, following her arrest. She was recently accused of violating the conditions of her release agreement, but the judge threw out that charge. Her defense attorney asked the judge to exclude evidence relating to Witt's blood alcohol level. That request was also denied.